Precision Reporting, Inc. was established in 1997 with a vision – to provide quality transcripts and to maintain a professional relationship with clients to anticipate their needs. Precision Reporting, Inc. is a dynamic company known for its friendly and “southern hospitality” work environment. We want your experience with our company to be pleasurable while still receiving the latest technological advancements in court reporting. 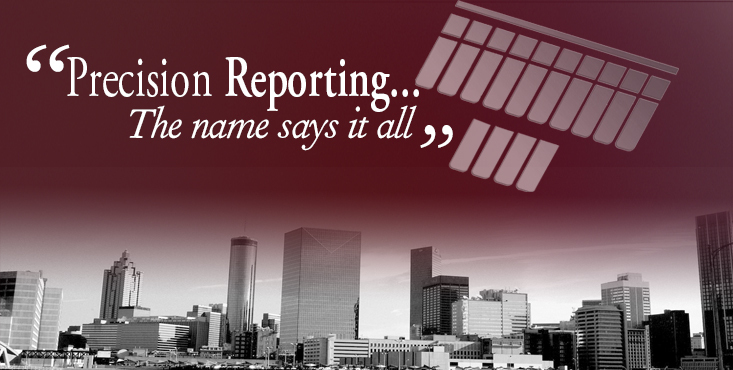 If you’re looking for an extraordinary reporting company, Precision Reporting, Inc. is the place for you.